This is from the an old story of a heron and a crow who were nesting together in a huge tree. One hot day a traveller came across the hills and on seeing the tree took advantage of the shade. Soon he was fast asleep and with mouth agape snored away. So deep was he in sleep that the sun worked its way around the sky until the sleeping traveller was no longer in the shade. The Heron spotted this and shuffled along a branch which stretched over the man and then he spread his mighty wings thus shading him. Having seen this act of kindness the wicked crow also shuffled along the branch, when he was directly above the gaping mouth of the traveller he dropped an acorn into it and then flew off. Immediately the man awoke and choked and spluttered until he coughed up the acorn, he then looked into the tree and saw the heron perched overhead. Without a second thought he drew his pistol and shot the heron dead which in his eyes was fair play for the bird nearly killing him. I have had not time what so ever this weekend to visit others... but I get around to it as so as possible..
Grand story, but what a shot my friend. What a shame. I think that very thing happens these days too. poor old heron what a shame. This one looks great though. Tom: Love the colors on this heron, it outs on a great show. Beautiful catch, sad story. Since the birds couldn't talk and either left or were dead, only the storyteller knows what happened. Interesting story about the crow and heron. The photo is amazing and beautiful. Did I say this was good?? Sounds like a true story to me. 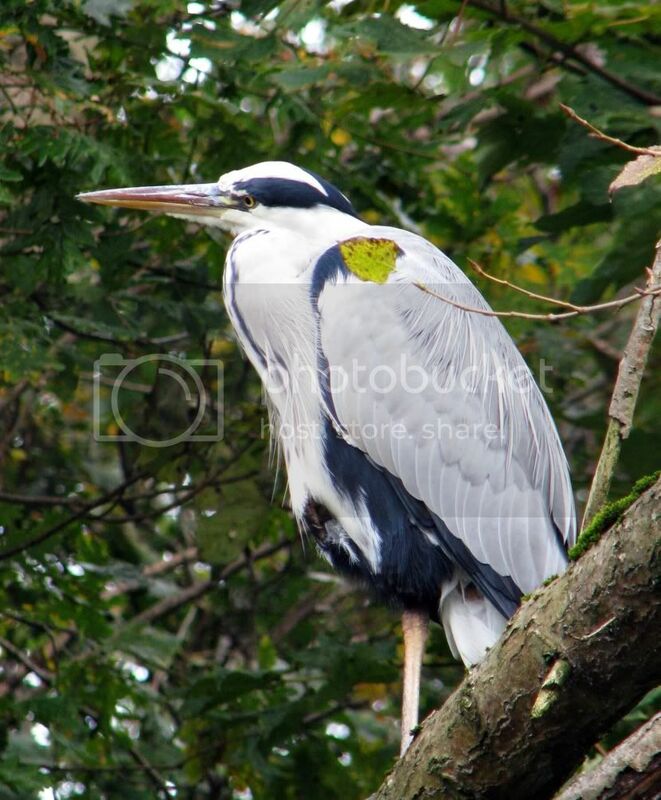 Sometimes I feel like I'm that grey heron. Tom, That is a beautiful photograph and the story really has an interesting point! Outstanding! Also an excellent set of photos of Early Bank Woods. I love this shot Tom - excellent!